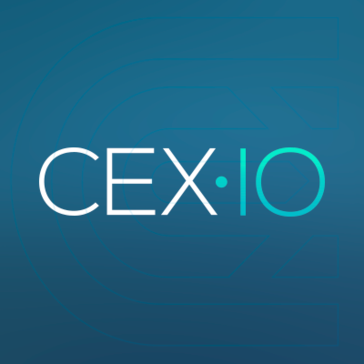 CEX.IO offers cross-platform trading via website, mobile app, WebSocket and REST API, providing access to high liquidity orderbook for top currency pairs on the market. ""Boutique trading platform" for crypto traders, I think Cex is progressing slow but surely"
I like Cex.io mobile application, it is very convinient and simple and allow us the full actions just like in the web platform. Expensive rates in BTC, ETH, XRP markets -it lets me sell at a slightly more expensive price than the entire market. Simplicity in the platform - also beginners that employed in my company manage to trade with all the actions offered in this platform. The support team takes sometimes more than 2 weeks to answer our responses, this is a big disadvantage. Small amount of coins to trade - but as a "boutique" platform this is not so bad and they continue list significant crypto assets (for example - they are listing LTC in these days for trading). High fees in fiat deposits/withdrawals - much expensive than other crypto exchanges. I recommend you to use Cex.io moblie application - like i said it is very useful and giving you the same abilities the web platform gives - on your mobile. i really think they have the best mobile application for cryptocurrencies trading. Deposit&Withdraw your funds using Visa card, sometimes it doesn't work with Mastercard cards (it happened with several users and credit cards in my company). Buy, sell and general trading directly from our fiat money (using credit card or our bank account) - this ability is not offered in a lot of loyal crypto exchanges. Crypto exchange platform that offers also reliable mobile application - this is enabling you to track your tradings and pretty much doing the same actions in your mobile phone/ipad. "Cex.io Platform - Best Trading Convenience"
- The big advantage is that in this platform all actions are simple and understandable to the user. - In Cex.io you can convert Bitcoin to USD directly on the platform, i mean the USD is directly in your account after selling Bitcoin/other altcoin. - Instant and directly withdrawal to credit card. - High convertion rate comparing to other exchanges - especially in Bitcoin price, Bitcoin-Cash price and Dash price - good for the sellers. - An amazingly convenient mobile application that connected to your CEX.io personal account. - Only few coins - you can trade In this platform with only 7 different cryptocurrencies. - Withdraw to Mastercard credit card doesn't work most of the time - it works only with visa credit card. - High convertion rate comparing to other exchanges - especially in Bitcoin price, Bitcoin-Cash price and Dash price - not good for the buyers. - Mobile app security - the login only ask 4 pin code from you, without the 2-step verification using the authenticator (like other exchange's mobile apps do). - Cex.io is convinent platform, easy to use and to understand. - Cex.io is the only platform that enabling to convert Bitcoin to USD and withdraw the USD directly to your credit card. - Convenient wallet for my business cryptocurrencies. - Depositing bitcoin on the business account, converting it to USD, and transfer the USD to the credit card/bank account. - Trade different crypto assets in short-term and long-term. "Looks nice and fancy, but it's support is bad"
"Deposit went 100% as expected, not a problem"
"Cex.io - A platform that progresses slowly but surely"
* Every 4 months Cex.io platform listed a new crypto asset - in these days they are listing Litecoin for trade / buy or sale. * As a seller - i really like the difference between the prices (high convertion rates for most of the cryptocurrencies). * Advanced mobile application - working fast and allows you all of the actions you can do on the web platform. * Variety amount of useful API's for developers - REST API, WebSocket API, FIX API - this is great and helps to cooperate with this platform as a developer. * It feels like the security of the mobile app is low - you need to write only 4 digit code in order to log-in. * This platform listed only few number of crypto assets to trade - BTC, ETH, BCH, BTG, Dash, XRP, XLM, ZEC and in the next month - LTC also. * It takes long time for the support team to answer for problems/questions. * The referral program is not rewarding enough for my opinion. - Consider use CEX.io if you need the ability to combine the use of their special API's with your trade, or just use it in your web/mobile application. - Cex.io for my opinion is progressing slowly but headed in the right direction, they have a bright future. - Consider using this platform if you want the ability to convert the core cryptocurrencies to fiat money and withdraw it directly to your bank account or to your credit card - it's the only platform that we trust who offer this ability. * Trade (buy and sell) crypto currencies - BTC, XRP, XLM especially. * Deposit Bitcoins and coverting them to fiat money, and after it withdraw the money to our bank account. * I also use their awesome API's as a developer in my business. "Super high trading volume platform"
"The only trustworthy platform that allows you to deposit money to an Israeli credit card directly"
"Great exchange to buy with a visa"
What I do not like is that to check out the person must be verified, besides that the verification process is usually very long and tedious. I can not complain about the rest, I have been using it for a short time, because I am starting in this world. Recommended for people who want to start trading, it is very easy to use the platform. "Platform is good for getting crypto money back to a bank account"
"Good platform for converting back to fiat"
"Easy payment with visa-card and Master-card to buy bitcoin and other cryptocurrencies"
* We monitor all CEX.IO reviews to prevent fraudulent reviews and keep review quality high. We do not post reviews by company employees or direct competitors. Validated reviews require the user to submit a screenshot of the product containing their user ID, in order to verify a user is an actual user of the product. Hi there! Are you looking to implement a solution like CEX.IO?